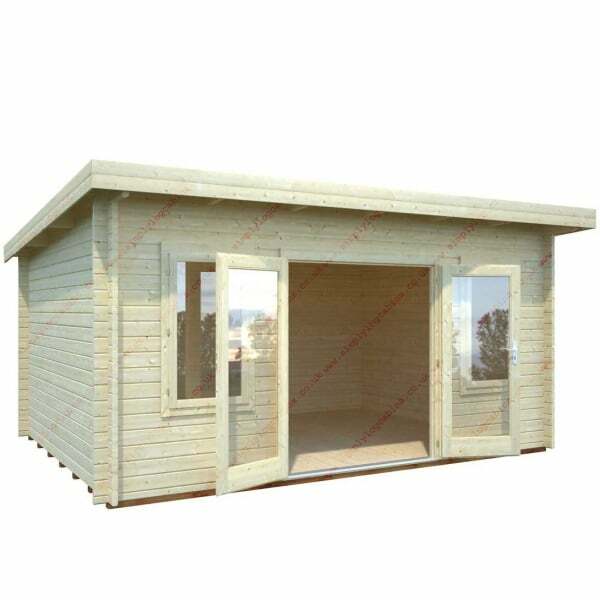 Palmako Lisa 14.2m² Log Cabin: Palmako Lisa 14.2m² Log Cabin is a simple and yet very attractive Double Glazed 44mm log cabin. The Palmako Jody Log cabin is light and airy due to the large fully glazed doors and large windows (all glass is DOUBLE GLAZED). As required in certain locations this log cabin has a maximum ridge height of well below 2.5m whilst still retaining good head room at the lower side. The Palmako Lisa Log Cabin can easily be either a classic extension to your living area or perhaps a dining room in the garden to be used throughout the year.